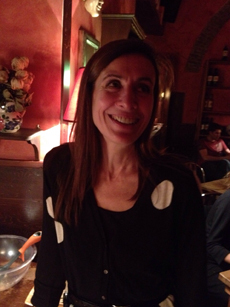 Hello, I am Anna Maria, I am Roman born and I have lived in this friendly and charming neighborhood for many years. A few years ago I started to rent out my own apartment to friends and tourists coming to Rome for short periods and I've always enjoyed to welcome them personally and suggest where to eat the best pizza or find the Raffaello frescoes here in Trastevere. Then I've started with this website wishing to make my friends and visitors feel at home in Trastevere, and help them to discover nice places they cannot find in their travel guides. Browsing "Your personal guide to Trastevere", you will find not only practical information but also a lot of reviews about well-known and hidden places, from restaurants to bakeries, from museums to music venues. As Trastevere is a lively neighborhood continually changing, with a new shop or artisan gallery at every corner, I'd be happy to be your local guide to this treasure trove of creativity. I have personally visited and reviewed all the places in this site, talked with the owners, taken pictures. For the places I haven't visited yet, you'll find just the basic information. In this case, feel free to start the game and write your own review! Comments and reviews are always welcome. It's useful and fun to share tips and experiences when travelling. You can read as many comments as you like, but before you post, you have to sign in: just your account and your email address. Hope you'll find this site useful and fun!